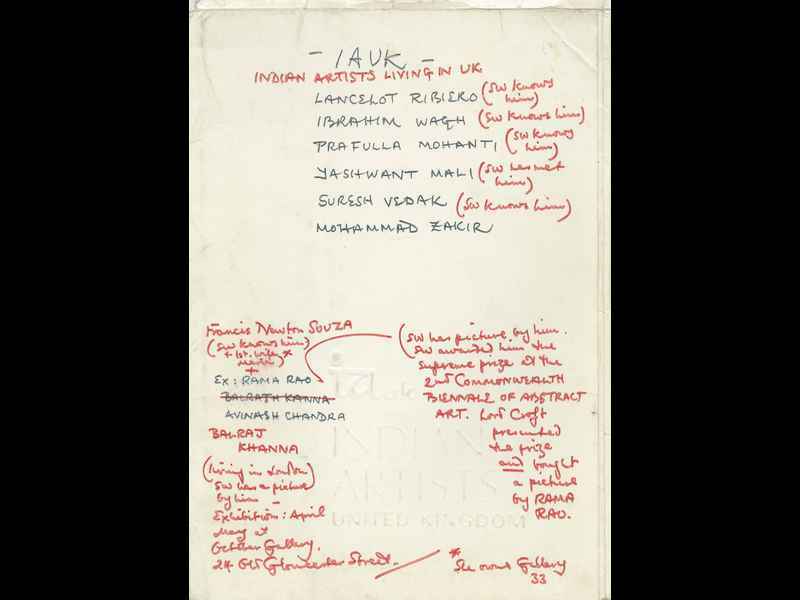 Substantial folder of seven oversized cards, each one containing a CV and, on the reverse, an image of work by artists associated with IAUK Indian Artists United Kingdom. The seven artists featured were, Balraj Khanna, Yeshwant Mali, Prafulla Mohanti, Lancelot Ribeiro, Suresh Vedak, Ibrahim Wagh, and Mohammad Zakir. On the CV side, the lower left corners of each card featured a tone-eliminated portrait of the relevant artist. 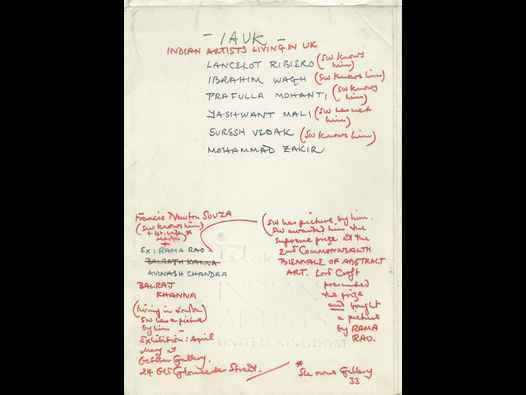 No further details of the publication appear on the folder itself, beyond the embossed text IAUK Indian Artists United Kingdom. The cover of this particular folder had been embellished with notes by Sheldon Williams, an art historian and writer.